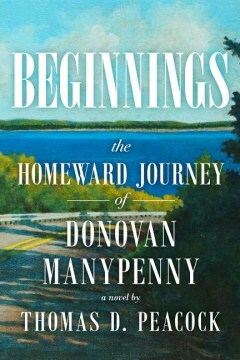 Beginnings: The Homeward Journey of Donovan Manypenny is the story of Donovan Manypenny. Raised by his grandparents on a northern Wisconsin Ojibwe reservation until their passing when he is 10 years old, he becomes a ward of the state of Wisconsin and enters the child welfare system – foster care, children’s home, and adoption. The trauma he experiences as a result of losing his grandparents and way of life leads him to put his past behind him for over 43 years. Then at the age of 53, events in his life take him back to his childhood home, retracing the historical westward migration of his Ojibwe ancestors. Heartfelt and bittersweet, andlayered with meaning, Beginnings: The Homeward Journey of Donovan Manypenny will resonate with anyone who longs to make the journey home, wherever that may be, as well those who seek or have experienced cultural or spiritual awakening, and healing.